We dropped Herbie off at home and have been back on the road for two nights. In all honesty it really feels less cumbersome to me without a toad, even though Fred says that it really doesn’t make a difference when he drives with one. Since George is only 20 feet long I like the ease of getting in and out of places. Of course if we ever full-time we would need a toad and a bigger RV for that matter. On our first night back on the road we wanted to boon-dock in Jackson, Ohio. 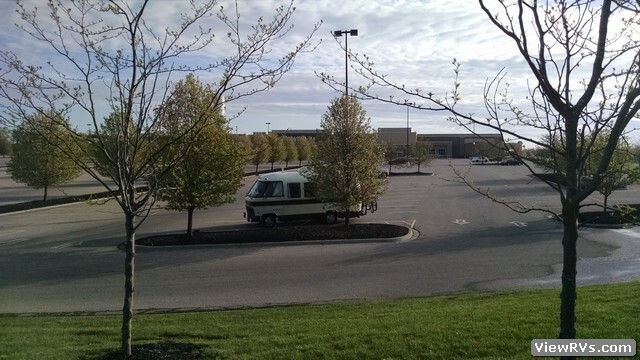 We drove there and found a nice quiet spot on the side of Walmart. We went inside and asked if we could stay, and they said we could, but we had to stay on the other side by the Lube Center. This area was where people were coming and going, so we knew from experience that it would be too loud for us to stay there, so we drove on to stay at a Walmart in Chilicothe, Ohio. We had a great spot there, but it was right next to a train track. This reminds me of years ago when we were traveling in our former RV which was an Airstream 345 motorhome. It was our first time boon-docking at a Walmart. We stopped at a Walmart in Georgia which was right next to a train track, but what made it worse was the Walmart street sweeper came and circled our RV for what seemed to be half the night. It was torture, so very early in the morning when we couldn’t take it anymore, we got up and drove to the closest Flying J. What a great sleep we got as we drifted off to sleep with the soothing sound of “Shower number 7 is now ready” playing over the intercom! 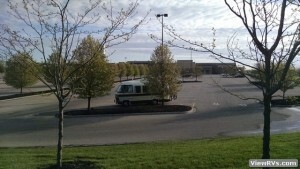 Moving on to our second night, we stayed at an awesome Walmart just outside of Cincinnati in Lebanon, Ohio. It was very quiet and peaceful. In the morning we drove over to Kings Island Amusement Park which was our destination. 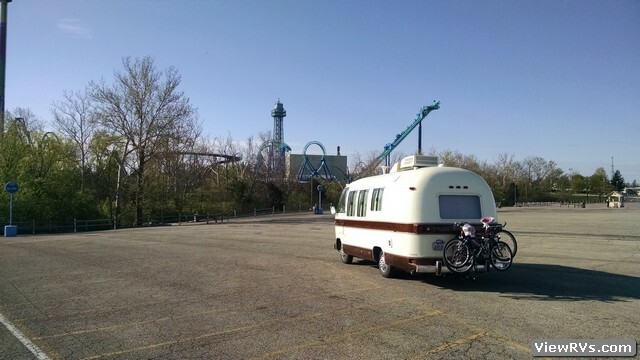 We don’t have an itinerary for the next week, so after leaving Kings Island we got outside of the Cincinnati area and into the state of Kentucky. We saw a State Park sign on the interstate and decided to check it out. So, here we sit in the Big Bone Lick State Park in Union, Kentucky. What a beautiful campground! Stay tuned to “That “Rolling” ’70s Show…..We will be working our way down to Pigeon Forge, TN. This entry was posted in Articles by Monique. Bookmark the permalink. Danny Kennedy on Airstream announces new Classic Motorhome!